Social media is important in many aspects of our daily lives. Whether it is utilized purely as a casual way to keep in touch with friends or on a professional level, it is now our primary source of communication. 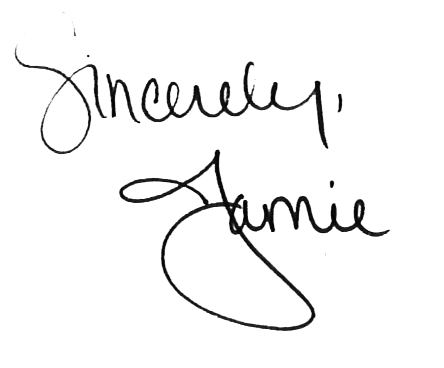 If you want to be easily accessible, prominently display your contact information on your blog. A great way of doing this is adding some customized social media icons.Use something a little more eye catching rather then the typical links or default icon sets. 1.) First things first, either create your own icons or download a set. You can find some free sets here or some that are a little more fancy for a few dollars here. If you want to try creating your own I’d recommend using Photoshop or Picmonkey. Rather then reinvent the wheel I found this amazing tutorial here on the step by step process of creating icons and then mapping them. 2.) Once you have your icons ready make sure you save them to a hosting site like Photobucket or Flickr. I’m using WordPress and often use my library to host my images. This is absolutely crucial! 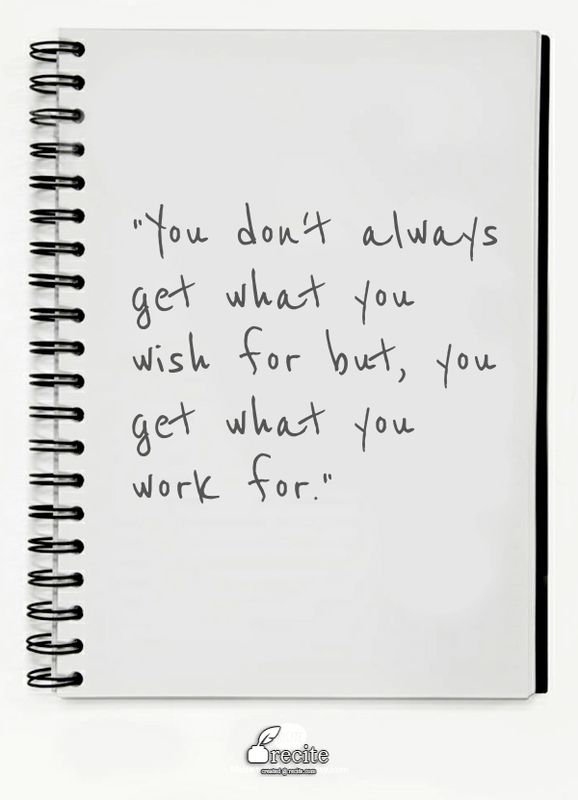 Otherwise you’ll end up losing all that work you just created. 3.) As I mentioned previously, I use WordPress. So this next step is based on the way the WordPress blogging platform is set up. After you have your HTML code from the image map site, log into your WordPress Dashboard and click on Appearances then Widgets. Create a text widget and paste the code in there. At this point you should be able to place the widget where ever you’d like the icons to appear on your blog. Keep in mind if you are using a free theme you are limited to the locations you can put widgets. For example, I use the free Adelle theme and all of my widgets are placed on the right side column. If you aren’t using WordPress and would like help on how to add custom icons to your site, please contact me. I’ll be happy to help! It’s been forever and ever since I posted some design tips on the blog. I’ve learned so many little tips throughout the past year while taking classes that I really want to share and believe any blogger could benefit from! If you don’t have the software or experience to design pretty graphics, fonts,themes, etc. look no further! Check out the Creative Market website. Creative Market is a website that offers thousands of design assets created by talented designers all over the world. Since most of the Designers are independent, they do charge a small fee to download their designs. 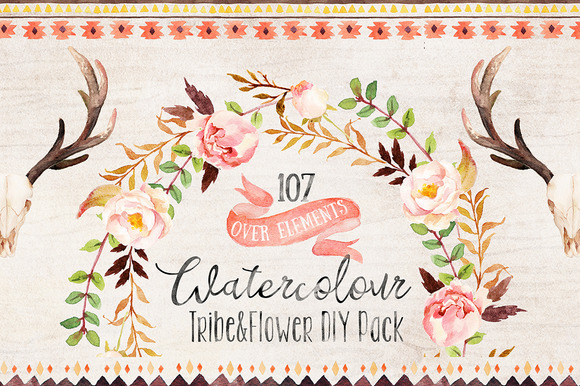 Although, each week Creative Market offers a variety of amazing freebie downloads. 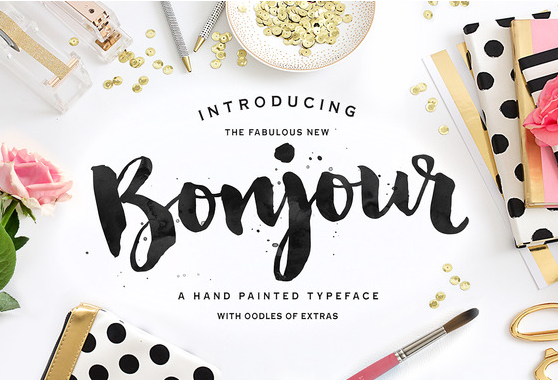 I’ve downloaded some freebies and paid for a few fonts and themes. Every Designer that I have dealt with was great and some even offered more of their designs for free after I purchased a set. 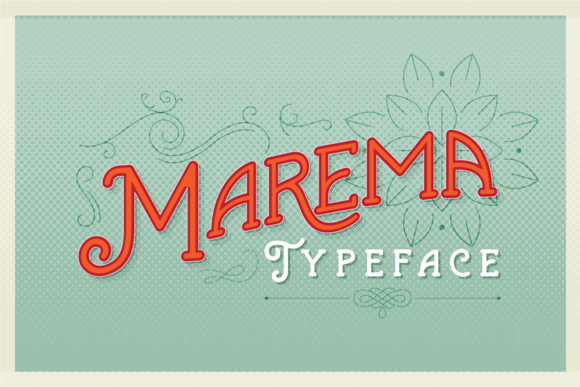 Marema Typeface by AF Studio – Free this week! 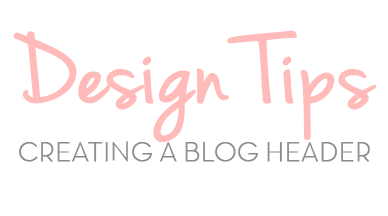 Give your readers a good first impression when they stumble on your blog by creating an eye catching header! A well designed blog header is essential because it is the first thing that people see when they visit your site. Through a header, you can convey the look, feel, and vibe of your blog. 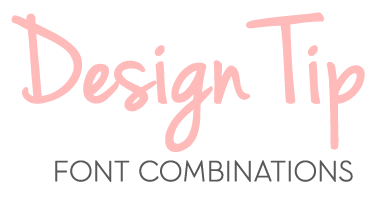 The two most important things to remember when designing a header is to make sure it is the correct size for your blog and that it is transparent. If you are using a template from WordPress or Blogger each theme should indicate somewhere in the information the header size. For example my header size is 1040 x 250. Whatever your size is, make sure that you design the graphic to be that exact size! Otherwise your header will be too small or large for your page. Now in this next step you can use whatever design software/website you are comfortable with. In this example I chose to use, PicMonkey, a free photo editing website. 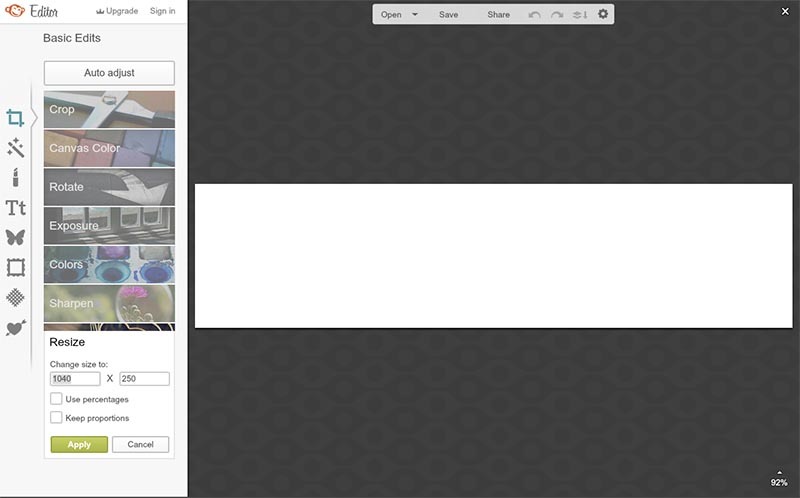 Step 1: Change the canvas size to match the exact size of your footer. 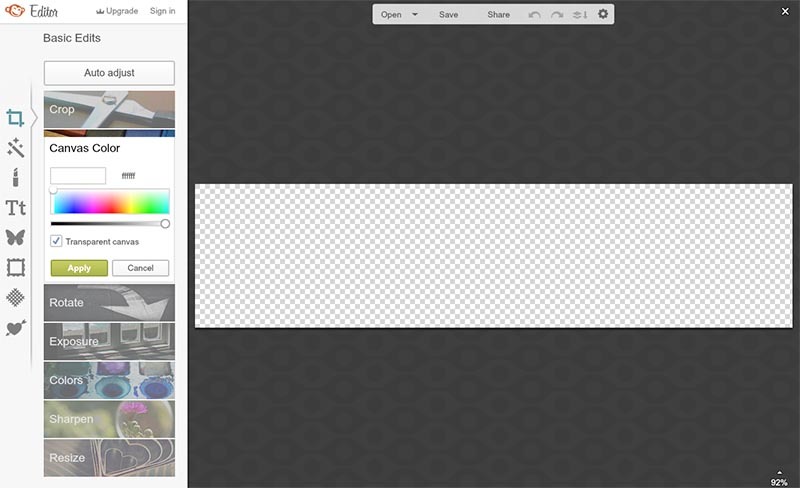 Step Two: Change the canvas color to transparent. Step 4: Save your new header as a .png image to preserve transparency. 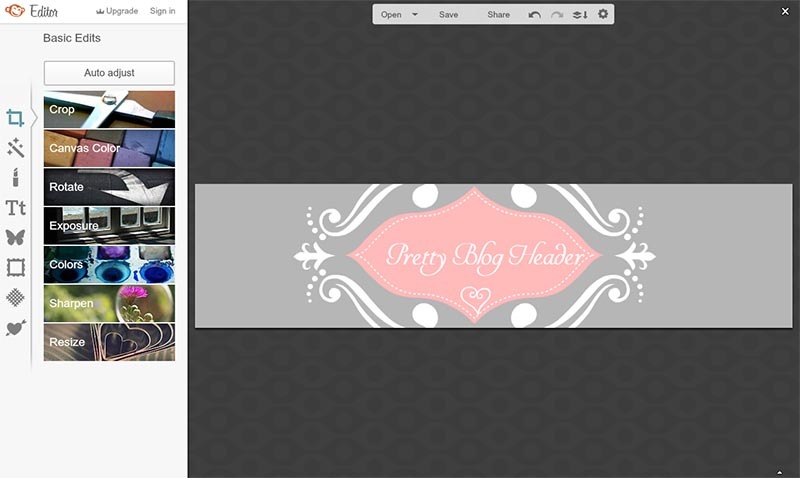 Step 5: Upload your newly designed header. 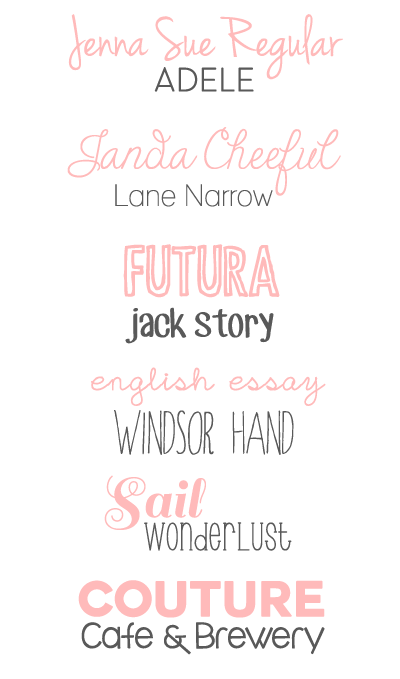 This is such a super easy way to pretty up your blog!